This powerful hearing aid is compact in size, but loaded with important digital technology features that focus on helping you hear more clearly. By avoiding the unnecessary but often engaging features that expensive hearing aids include, we are able to keep the price of the Precise Hearing X in the affordable range. In other words, this affordable hearing aid delivers outstanding results despite its low price! 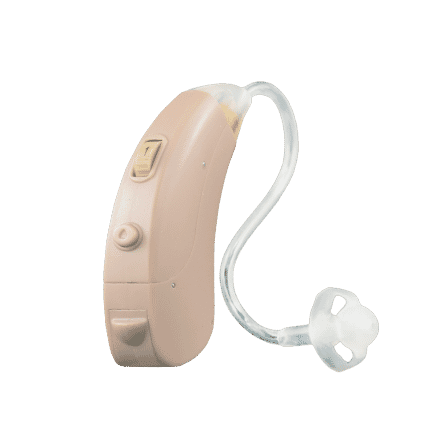 The Precise Hearing X is wide ranging device designed as a hearing solution for people that have trouble understanding conversation in noisy environments. It includes 12 channels of frequency shaping and 10 bands of layered noise reduction to deliver a comfortable sound that balances out background noise while emphasizing voices and other sounds that you might otherwise be missing. The digital sound processing chip helps make speech easier to understand by producing crystal clear sound with less feedback. Other features include an easy to use volume control wheel, user controlled memory button (3 modes – Quiet, Noise and High Cut) and a helpful low battery warning. This combination of impressive features and low price makes the Precise Hearing X a tremendous value and our top selling digital hearing aid.